The 30th of November saw the first of what we will hope will be a series of methods workshops. It brought together over 70 researchers to discuss how to integrate ‘lived experience expertise in mental health research teams’. The event was massively oversubscribed and if the fact that we had to cut short discussions before we were physically kicked out of the venue is any guide, it succeeded in its aim of stimulating debate and the sharing of ideas. You can find a small sample of the discussion by looking for #McPinMethods on twitter. The event was part of a wider week of activity here at McPin looking at how we push forward the discussion on how we involve people with lived experience of mental health problems in research. You can find all the outputs of the week on our website, including a series of personal blogs by our researchers exploring different aspects of their work and practice. 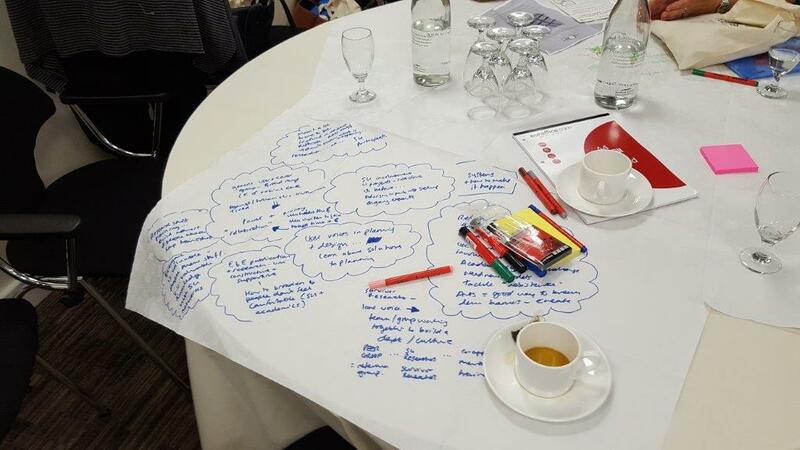 Returning to the workshop: one goal of the afternoon was to develop a sense of what the priorities are in improving how we do Public & Patient Involvement (PPI) and peer research well in mental health. There were a range of issues that emerged from discussions and a huge amount of energy and excitement about tackling them. The most important point was a very simple one, if involving lived experience in research doesn’t make a difference to the research what is the point of doing it? This stimulated discussions both about how we move beyond a tick box approach to PPI done to satisfy funders’ requirements, and how as advocates for involvement we evidence the positive difference it makes. Power dynamics came up in a number of conversations; sparked by the simple illustration of how people had sat around the table at the first meeting of an advisory group. Researchers and medics on one side, service users on the other. Naturally people will tend to cluster with those they feel comfortable with, but it makes it difficult to break down the traditional hierarchies that can get in the way of free sharing of ideas. More fundamentally, if involvement is to have an impact, researchers have to be willing to cede some power to those they are involving so they can influence the research – and be honest up front (including with themselves) where they can’t or won’t. Finally issues of diversity in recruitment came up in a number of forms. One presenter discussed the difficulties of recruiting a group of lived experience advisers for her study who reflected the diversity of the wider population of service users and carers. It was an issue that a number of people in the room were grappling with. The question of who is recruited to become researchers, and especially peer or service user researchers also emerged. We need to do better at ensuring people who may not come from the traditional researcher mould, in either background or approach, are given the opportunities to develop the necessary technical skills but also to offer up different perspectives. This is a question we have been grappling with at McPin, and we wouldn’t pretend to have the answers yet.